Playing at Rickshaw Stop in January, 23-year-old garage rocker Ty Segall came onstage to an ecstatic full house — and he wasn't even headlining. He tore through his set of psychotic surf rock, his blond hair obscuring his joyfully screaming face for most of the show. His music brought to mind The Ramones, if only they had played while being struck by lightning and standing in a bathtub full of water and electrical appliances. I ran into Segall a week later in the crowd at a Motörhead concert. That night, he was an anonymous fan like everybody else, transfixed — and partially deafened — by the legends on stage. 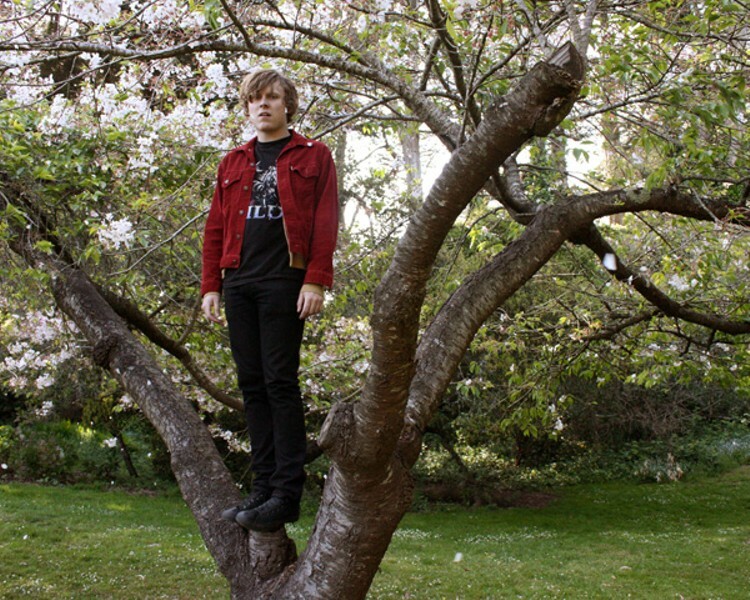 And yet, in the Bay Area indie music scene, Segall is anything but anonymous. Melted, his album from last year, landed on various "Best of 2010" lists, including Pitchfork and NPR's. He has spent six months of the last year touring the US and Europe. This week, Segall and his band are in Austin, Texas, performing at South by Southwest. He's "only" doing four shows at the festival this year, compared with the marathon of ten sets in four days that he played last year. "That was really stupid. It was way too much," he lamented. Segall seemed relatively low-key while grabbing tacos at El Castillito in San Francisco in February. Having just finished his forthcoming album Goodbye Bread, he was taking some time to relax before going back on tour the following week. Segall wore a blue sweater that accented his very blue eyes. This time, his long hair was mostly under control and pushed to the sides of his round, cherubic face. Segall was raised in Laguna Beach. He moved to the city to attend the University of San Francisco, from which he graduated in 2009 with a degree in media studies. He was a DJ at KUSF during his student days and he spoke out this year against the campus radio station's sale and shuttering. Before he went solo, Segall played guitar and drums in a series of garage rock bands, among them The Traditional Fools, Epsilons and Sic Alps. He got his first break, so to speak, when John Dwyer of Thee Oh Sees saw him drumming with The Traditional Fools. That night, Segall had a cast on his fractured arm. He played by shoving the drumstick up the cast and swinging his arm. After the show, Segall says Dwyer walked up to him and said, "That was awesome, buddy. I've never seen that before." Dwyer, also a San Franciscan, asked The Traditional Fools to open for his band, and he helped point Segall toward various labels. Soon enough, Segall was performing by himself, playing guitar and stomping a kick-drum, one-man-band style. He built a following, and eventually went on tour with Thee Oh Sees and Sick Alps. 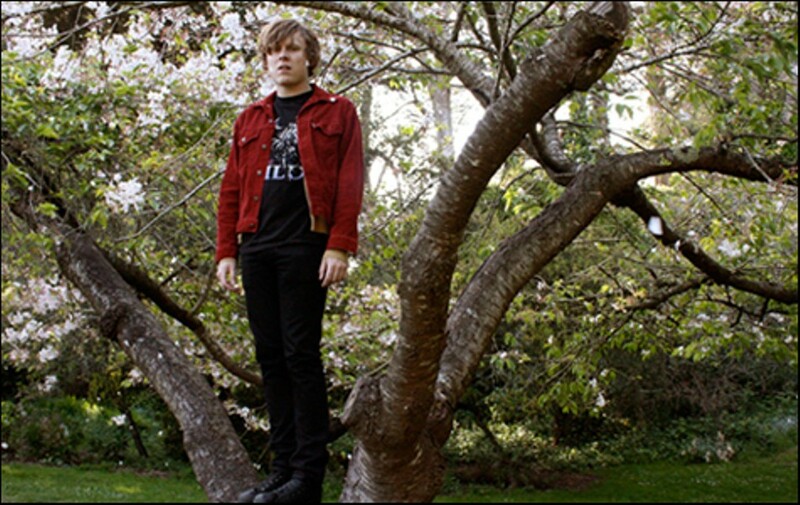 Segall landed on Memphis-based Goner Records, which was also the home of popular garage-rocker Jay Reatard, who died last year. Segal started pumping out EPs, split albums and full-length records. He records most of his work in a friend's basement studio in San Francisco's Chinatown. Despite the drowning-in-fuzz quality to most, if not all of his songs, Segall said he's a production perfectionist. "There's great moments in mistakes," he said. But once everything is recorded, he spends a lot of time mixing and making everything sound right. It's controlled noise, with a lot of structure, he said. Segall's arrival in the Bay Area coincided with his discovery of psychedelic music, which he blends with SoCal surf roots to produce his signature sound. "I didn't really get into psychedelic music until I moved to San Francisco," he said. "Two months into living here I bought my first 13th Floor Elevators record." These days, Segall does play with a live band. Former USF classmate Emily Epstein pounds the hell out of the drums. Charlie Moothart from The Moonhearts plays rhythm guitar and Denee Petracek, Segall's girlfriend, plays bass. Segall is finally pacing his releases, accepting that sometimes there simply isn't enough time to do everything at once. It's better to respectfully say no to prospective collaborators than put out weaker material, he decided. "Even if it's a 7-inch, I never want to give anybody anything bad." Thus far, his songs and albums have been quick and to the point. Both Melted and Lemons, his 2009 full-length release on Goner, clock in at barely thirty minutes, and the vast majority of the songs run well under three minutes. In a quippy review of Melted, Pitchfork wrote that in Segall's work, "there's rarely room for pesky little details like verses." Segall says he has trouble describing his own music, but he says the new album, set for release on June 21, goes in a different direction. He worked with a new label, Drag City, to help facilitate the shift. "It's a bit stranger, a bit more psychedelic," he says. "Less aggressive." The songs on forthcoming LP Goodbye Bread are also a bit longer, and the album deals with his experiences living in California — from playing the social game and surviving expectations, to the numbness he sees in many people. "I wanted to get a bit more abstract," he said. "There's more of a fluid idea throughout the whole album." He says the title song is his farewell to a "normal" existence — a conscious acknowledgement of the life he wants to lead, regardless of where it takes him. Segall is learning to manage that life by slowing down in between tours, and recently, by deactivating his e-mail. "It was starting to affect my life in a bad way," Segall said. "[I decided,] man, this is too much, I need to get away." In conversation, Segall is extraordinarily mellow. Not in the pothead sense; he just gives off a relaxed, happy vibe. He frequently refers to people as "man" or "buddy." At first it was hard to reconcile the shrieking, budding rock star on stage with the delightfully ordinary young man next to me, eating a giant vegetarian taco. But that's what makes Ty Segall's music so awesome. We all have songs we blast and gleefully shout along to on the drive home from work. Or we have a classic we dance to, Risky Business-style, during private spats of spring cleaning. Segall is a normal guy; the only difference is that he's got something special that allows him to go nuts on stage, instead of in a lonely living room.